In February 2015, Clarksons' acquisition of the RS Platou Group was completed. Mr. Erik Helberg is the CEO of Clarksons Platou Securities. Prior to joining RS Platou Markets in 2009 as CEO, Erik was Partner & Head of Shipping Research at Pareto Securities. He has received numerous awards from top analyst ranking agencies such as StarMine & Prospera, and holds amongst other awards, three #1 rankings as best stock picker in Europe/Norway. 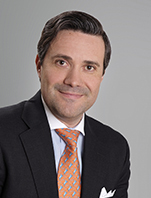 Erik has extensive industry and business experience from all types of ECM transactions and M&A assignments in Europe, Asia and the US and holds a Master of Science degree in shipping, trade and finance from City University Business School in London and a Candidatus Magisterii in law from the University of Oslo.